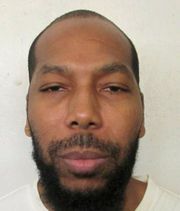 (Robert Barnes, Supreme Court’s execution decision animates critics on the left and right, Washington Post, February 11, 2019; Alan Cross, Does Alabama Support Religious Liberty?, The New York Times, February 10, 2019; Editorial, Is Religious Freedom for Christians Only?, The New York Times, February 9, 2019; Jon Healey, If you're a non-Christian facing execution in Alabama, God help you. Because the Supreme Court won't, Los Angeles Times, February 8, 2019; David French, The Supreme Court Upholds a Grave Violation of the First Amendment, National Review, February 8, 2019; Press Release, U.S. Bishops’ Chairmen Condemn Decision Preventing Muslim Man from Receiving Appropriate Spiritual Care at Execution, United States Conference of Catholic Bishops, February 8, 2019.) See U.S. Supreme Court and Religion.